I’ve known Lydia since she was in elementary school and it is so fun to see her now about to be married! For their engagement session, Lydia chose to go formal at the Cator Woolford Gardens and I’m so glad she did! They looked classic in black. 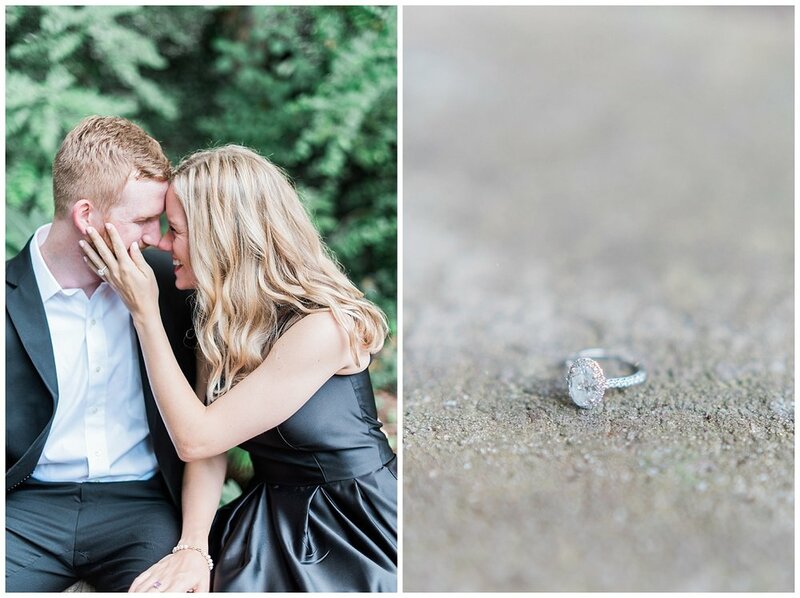 After we left Cator Woolford, we traveled to Piedmont Park where Hunter popped the question last winter. They strolled around in their slightly more casual ensembles for the rest of golden hour. I loved getting to catch up and absolutely cannot wait for their wedding next June!